With India being the fastest growing market for the e-commerce sector, Eicher Trucks and Buses is eyeing the e-commerce market to future-proof its business. Eicher, which has 32 per cent share in the 5 to 15 tonne capacity truck segment, has recently launched five new vehicles strengthening its portfolio of light and medium duty (LMD) range. “Logistics is an important part of the e-commerce industry. 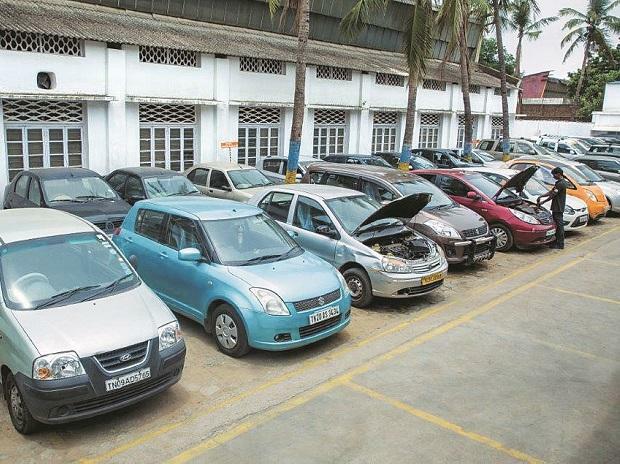 Over the last two to three years, this segment has fuelled demand for commercial vehicles. 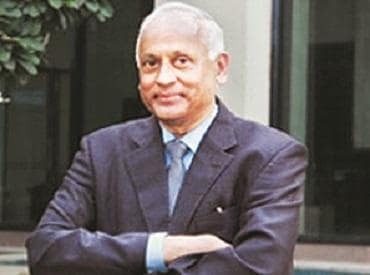 E-commerce companies themselves are not buying vehicles but it is the logistics companies catering to these players that are buying from us,” says Shyam Maller, executive vice-president, light and medium duty trucks and buses, VE Commercial Vehicles, a joint venture between the Volvo Group (Volvo) and Eicher Motors. According to Maller, the roll-out of the goods and services tax (GST) will push demand for transport vehicles in both the e-commerce and logistics industries. Further, the entry of on-demand online grocery delivery services into day-to-day essentials such as milk and milk products, ice-creams etc. is also driving the demand for quick and hassle-free transportation of perishables. These factors have pushed demand for both the long-haul range of trucks as well as multi-axle trucks (higher capacity trucks starting from 26.2-tonnes). Eicher has a strong play in the 5 to 15 tonne capacity space. At the top end, Eicher has the 25-tonne medium capacity trucks that are used for moving cargo between cities. The company says evaluating various truck segments is a continuous process as it works to roll out products in categories where it has a small play. Talking about the transport requirements of e-commerce players, Maller says that based on the type of goods that the industry carries, the focus is more on volumes and less on load. In other words, transporters need trucks that can accommodate huge volumes. Accordingly, Eicher has developed vehicles that are optimised to carry larger volumes and offer a long cargo body as well. Eicher offers e-commerce market products ranging from 4.9T to 16T GVW. The truck manufacturer claims that it is the only player to offer 24 feet long cargo body in the LMD segment. The company’s trucks also boast high volume space index and highest payload in the 5-tonne category. Also, it is offering fully built ready-to-use container vans in its trucks. These leakproof container vans can be used by e-commerce players to transport a variety of perishable and liquid commodities. 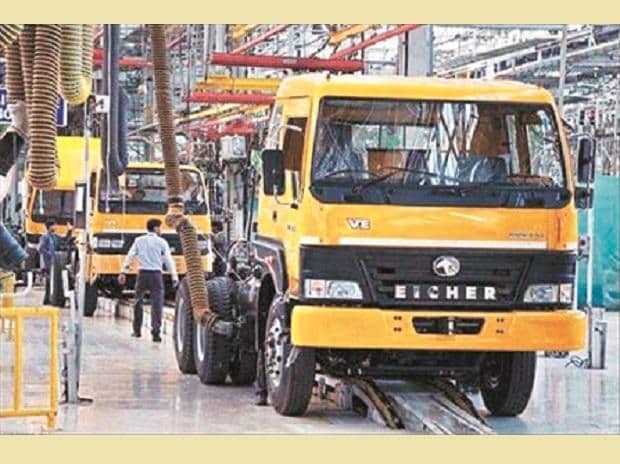 Currently, Eicher is manufacturing its trucks in the Pithampur facility near Ahmedabad. It also has a single unit manufacturing plant in Madhya Pradesh. The company does not have a separate product line for manufacturing trucks targeted at the e-commerce segment. That is because the basic vehicle platform is the same across load type. It is the cargo body that needs to be integrated on the truck. The cargo body is dropped on the truck chassis. And this customised application (cargo body) part is well-engineered and has been designed following a lot of customer trials. In terms of pricing, Maller claims that Eicher products command four to five per cent premium over those of its competitors. The company is able to charge a premium on its offerings on the promise of better mileage in the product segment. To drive home the point, Eicher’s tag line goes “Mileage ka badshaah”. At present, the truck manufacturer sells from 279 touch points across the country. Eicher has a strong presence in the north, west, and south. To boost sales in the east, the company is working to develop its distribution footprint in the region. While the truck maker has a formidable presence in the long-haul and e-commerce segment, Eicher does not have a presence in last-mile service which is dominated by Tata Ace. The closest competing product that the company has in this category is a 9-tonne GVW truck. Mallar says competition in the market is intensifying. And following last year’s demonetisation and the GST roll-out this year, many players in the industry are resorting to heavy discounting. This is distorting the market. As competitors up the ante in the light and medium-duty truck segment the battle for a larger share of the e-commerce pie is bound to get tougher.